Having access to a car is an essential part of modern life which we simply cannot do without, whether you need a vehicle for business or domestic use. When it comes to buying a new or second-hand vehicle, however, the cost of paying upfront for a set of wheels can prove prohibitively expensive for some. 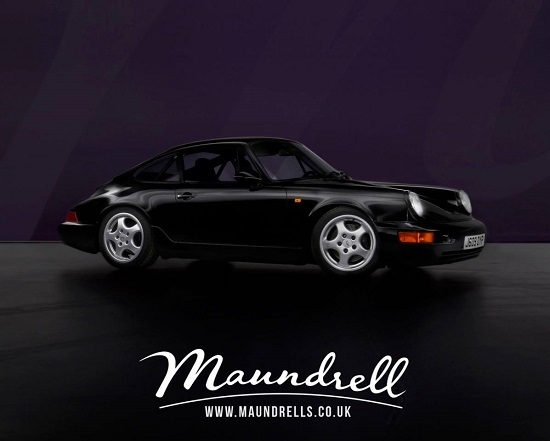 For many people, finding a long-term finance arrangement can take the sting out of the purchase of a new car, and Maundrell and Co. are on hand to help. With a range of highly competitive and tailor made repayment packages available, we can help find the best financing options for you. A structured repayment programme means you can stagger the cost of purchasing your new vehicle over however long a period you require, giving you greater flexibility and greater choice. Whether it’s Porsche finance to get you the latest, high-class model, or an arrangement to buy your next business vehicle, Maundrell’s team of expert staff can offer advice, support and guidance in helping you find the right finance package for you. Working hand in hand with some of the country’s top finance houses, we are ideally placed to negotiate agreements on your behalf, ensuring you get the best, most affordable deals on the market. Porsche finance and repayment agreements can be set anywhere between 12 and 60 months, meaning you only pay back what you can, when you can. We are also happy to deal with negative equity on your current vehicle or low deposits – that means that no matter your situation, there are no bars to taking advantage of our fantastic finance packages. With a finance agreement from Maundrell and Co., you could drive your new car off the forecourt today, safe in the knowledge that you’ll only pay as and when you can.